In 1963, Yale University Press published a book that would change the way people approached color. 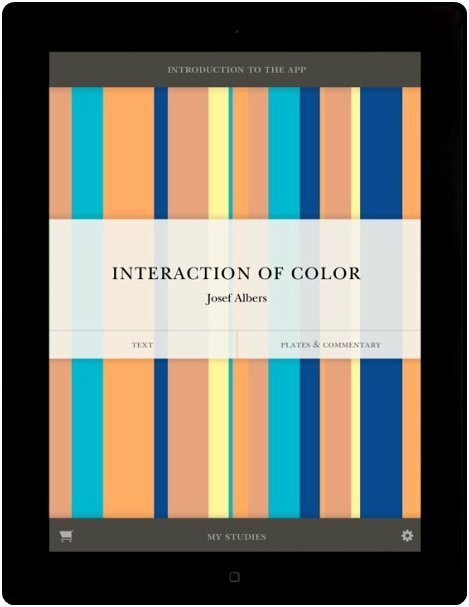 Now, in partnership with The Josef and Anni Albers Foundation and developed by award-winning design and technology firm Potion, Josef Albers’ “Interaction of Color” returns—as an interactive iPad application. The Interaction of Color mobile app for iPad is packed with elegant and innovative features that help you understand the book’s ideas, view the plates, experiment, and create and share your own designs.